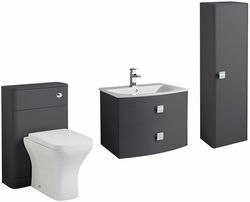 HR Sarenna > Bathroom Furniture Pack 4 (Graphite). 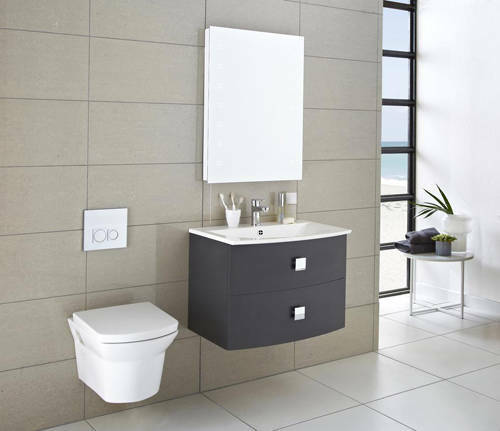 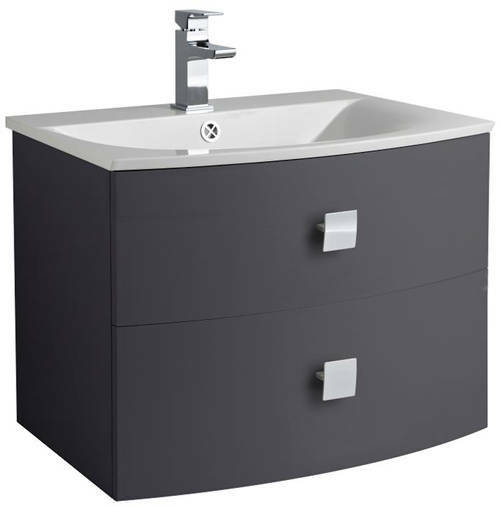 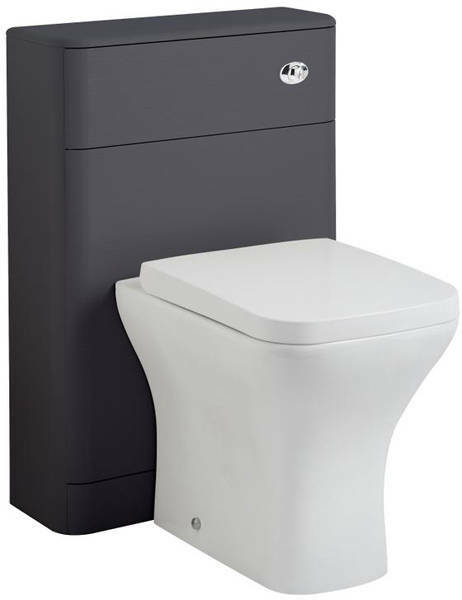 Hudson Reed Sarenna 700mm wall mounted vanity unit in graphite finish with 500mm floor standing WC unit and 350mm wall mounted tall storage unit. 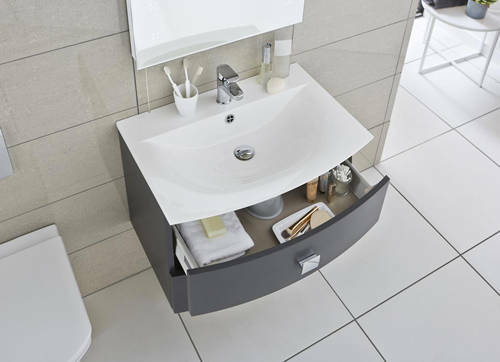 Soft close drawers and door (self close).